Leathery wrinkled skin outlined in the bones of my father’s face. He sat slumped in the chair in my living room and stared out the window. I feared this man. He could make me cower with one stabbing angry glare. Quietly I walked over and sat down in the chair across from my father. He seemed unaware of my presence. I swallowed hard and reached across to rest my hand on his lizard-like one………. 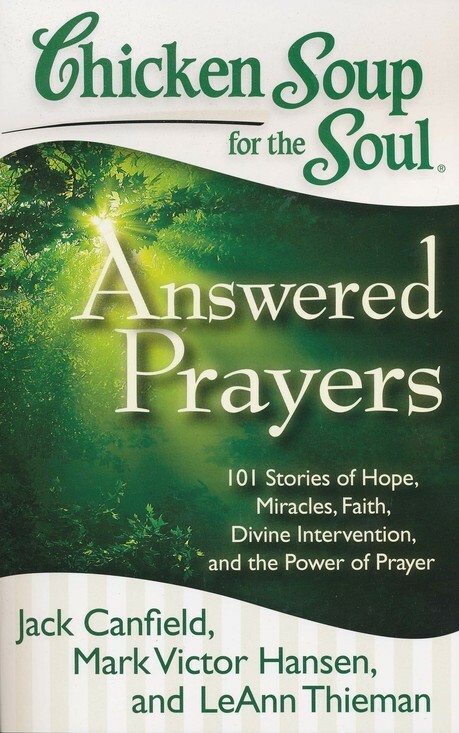 A copy of “Chicken Soup for the Soul, Answered Prayers” in which I have an article is available via Paypal. The cost to you is $12.43 plus $4.98 shipping.